Home » Android » Hexlock: How to Unlock Apps with Fingerprint Sensor? 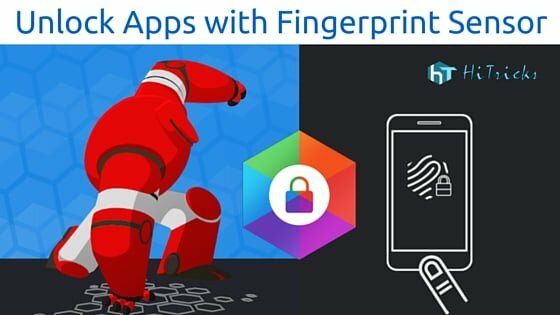 Hexlock: How to Unlock Apps with Fingerprint Sensor? Do you still use a pattern key to lock your sensitive apps? Well, we all know what happens in reality. We create natural patterns, and Our friends get to know about that design eventually, and you lose your security. Let’s consider you create real cryptic unlock patterns. What happens? 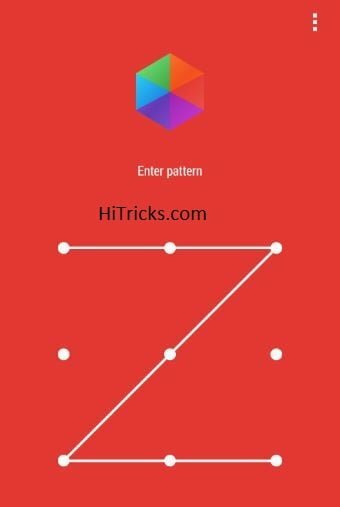 Each time you want to open your locked apps you need to go through drawing the pattern over and over which ultimately kills a lot of your valuable time. Starting from 2015, most of the newly released Android devices now come with built-in Fingerprint Scanner support to unlock the mobile. It’s fast, convenient and as well as secure. So why don’t you use the same to lock down your critical apps? Worry no more! 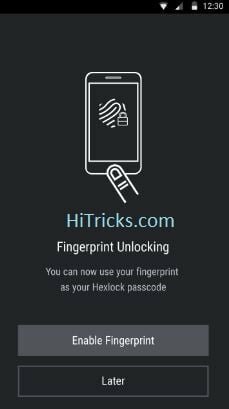 Because you can still use your fingerprint sensor to unlock your locked Android apps using Hexlock, an entirely different kind of app locker for Android Devices. 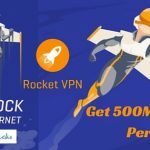 I came to know about Hexlock when I was reviewing RocketVPN, another application from the same developer Liquidum, that gives you Free 500MB High-Speed VPN Access Every Month. Currently, Hexlock has already generated 1-5 Million Downloads on Google Play and boasts a 4.3 rating. You can Download Hexlock from Google Play. YOU MAY ALSO LIKE: How to Backup Everything on Windows using Todo Backup? 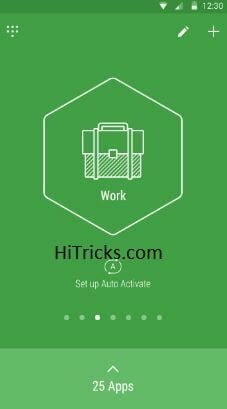 Download Hexlock from the link given above and install it. Open the app. The very first thing it will ask you is to Set Pin or Set Pattern. I recommend setting pattern as it saves time. Set it and confirm. Note that you can always lock apps using fingerprint sensor later. This is just for additional security. Now you will come to the profiles section of the app. Profiles allow you to group and lock different sets of apps at various situations based on your profiles. The default profile is Work. You shall see a button Start Locking Apps. 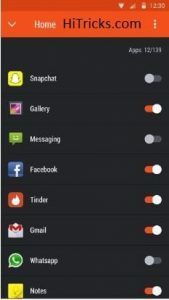 Click Start Locking Apps. 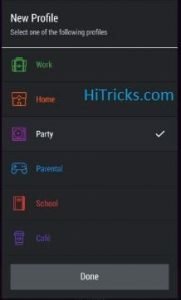 Now you will find a list of all the available apps on your device. Just one tap and you can Lock or Unlock your desired apps from there. So you have locked your apps, now it’s time to enable Fingerprint Unlock. To enable Fingerprint Unlock, you must have a device with Fingerprint Sensor Hardware. Since 2015 most of the devices supports it. 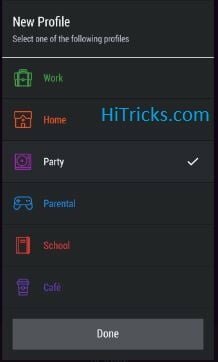 Click on the Top Left Menu > Settings. The Settings Menu will open. Click on Fingerprint Option. It will display a message that you can unlock your apps fast using Fingerprint Sensor. 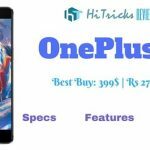 Click on Enable to activate fingerprint unlocking. Fingerprint Protection is successfully enabled on your device. Your security is at it’s best. Now let’s look at some of the other features of Hexlock. As I discussed above, profiles are custom groups you can create to manage locking and unlocking based on different places for example work or home or friends etc. 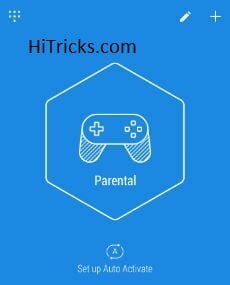 There is a Parental Profile too for the parents to keep your kids free from sensitive contents. To set up new profiles, just click on the top right Plus ‘+’ Button and you are good to go. You can set a maximum of 6 profiles for 6 different occasions. This is a secret place inside your hexlock app where you can store your sensitive pictures and videos safely. Be it your personal moments with your partner or an episode of the Game of Thrones, you can keep them all inside. Click on the Top Left Menu > Media Vault to enter your secret vault to which only you can access. To start protecting your media, click on the Plus ‘+’ Button at the bottom right and import your images. They will stay hidden from your gallery. 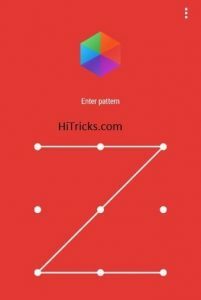 Hexlock cannot be bypassed by uninstalling app. Only give it administrative permissions and it will prevent uninstalling. To start, go to Top Left Menu > Settings and click on Uninstall Prevention, and it will ask you to grant administrative privileges. Once you give that, you are 100% protected. Note that your settings app will also become locked so that one cannot remove Hexlock as Administrator. 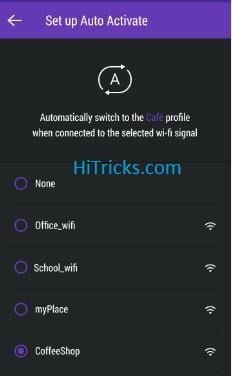 Auto Activate feature changes your profiles seamlessly between your home and works based on your mobile internet or wifi network. This feature is handy, and you don’t need to swap profiles manually. To activate this, just navigate to the Settings and you shall find it. The mobile is yours, the app is yours, so why not the lock screen? The lock screen customization enables you to choose your desired color or picture on your lock screen. You can choose any existing image from your gallery or just click one with your mobile camera. To activate this, navigate to Settings and click on Lockscreen Customization. Hexlock Review: Locks or Leaks? I liked the Profile Based Protection. It Changes profiles based on your network. The lock screen is bypass-proof. You can’t uninstall the app to bypass it. Even actions like popups, or switching to a different app and getting back to a protected app triggers the lock screen, so it acts as a shield. The Fingerprint Unlocking option is a blessing. No more time waste in drawing patterns. The media vault option saves the effort of keeping another media locking app. The Fingerprint Unlocking isn’t smooth enough. The device unlocks works smoother by fingerprint than the lock screen. The Pattern Unlocking creates unnecessary vibrations. I didn’t find a way to stop it. Also, the pattern is visible, as usual, there isn’t any option to draw an invisible pattern. So, Hexlock isn’t the perfect one but surely is the most secure one. Providing some of the latest and reliable features, Hexlock is a lot more than just a small app locker. Especially the media vault is very handy as you need not install a separate app for that purpose. So, Hexlock isn't the perfect one but surely is the most secure one. Providing some of the latest and reliable features, Hexlock is a lot more than just a small app locker. Especially the media vault is very handy as you need not install a separate app for that purpose. 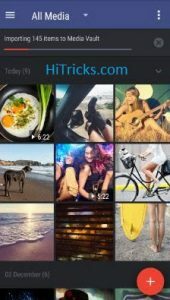 So try out the app and let me know how is it in the comments section. If you have any issues, you can feel free to reach out to me by writing below. I will try my best to help you out. Also, share the post with your friends on social networks and assist them in protecting their apps too. That’s all for now. See you soon. Meanwhile, have a look at my other posts.